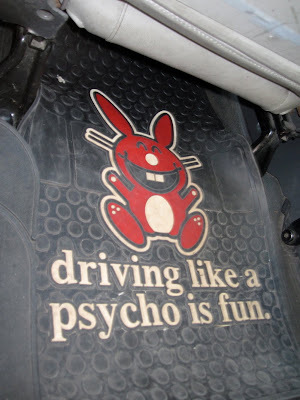 This was the floor mat on my "Mr Toads Wild (Cab) Ride" down the FDR a few weeks ago. At least he was honest, I appreciated that. If he had only been good, then it wouldn't have been as terrifying!